Luke Kozumbo is an international trade and development economist and leads the Sustainable Business Group (SBG)’s portfolio of analytical and assessment work for Fortune 500 companies—including the development and implementation of SBG’s proprietary software and its economic forecasting and assessment methodologies. Luke is experienced in economic analysis, issues of local content and economic competitiveness, and has applied his skills across a breadth of geographic contexts. He has performed country- and sector-level international trade, local content, and economic competitiveness analyses; researched and written on the potential economic effects of improved industrial and service-based supply chains; and designs, leads, and conducts statistical and econometric analyses of household and enterprise surveys. 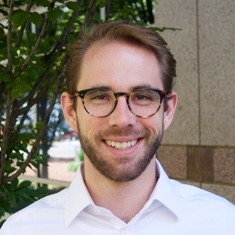 Most recently, Luke has led SBG’s economic assessment work in Ghana, Guyana, Mexico, Mozambique, Oman, and Vietnam. Christina Aguila focuses on corporate social investment projects for DAI’s Sustainable Business Group and provides project management, business development, and technical support for market and supplier analysis.